If you're looking for the spacious and fuel efficient car with plenty of power under the hood check out the 2016 Honda Sonata! At Jim Burke Hyundai, you'll receive plenty of knowledge about Hyundai and plenty of friendly customer service from each staff member. Located at 1424 5th Avenue North, Birmingham, AL Jim Burke Hyundai serves Hoover, Tuscaloosa, Talladega, and Jefferson County. The 2016 Hyundai Sonata outshines the Honda Accord! 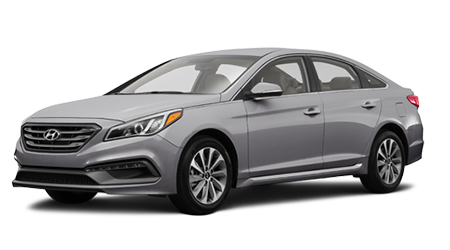 The MSRP of the of the 2016 Hyundai Sonata is $21,750 while the MSRP of the Honda Accord is $22,150! The MPG rating on the Hyundai Sonata is 25 city /38 hwy while the Accord has a rating of 27 city / 37 hwy. The Sonata will save you more money in the long run. Interior features for the 2016 Sonata include a Panoramic tilt-and-slide sunroof, air conditioning, power windows and door locks, Drivers window auto-up, 60/40 split fold-down rear seatback for extra storage, premium cloth seating, 6-way adjustable driver seat, Integrated Memory System (IMS) for driver's seat and side mirrors, woodgrain appearance accents, metal paint interior accents, Tilt steering wheel, exterior temperature display, Bluetooth® hands-free phone system, Smartphone/USB and auxiliary input jacks, Blue Link Telematics System, and a 4.2-inch color touchscreen audio, 8-inch touchscreen Advanced Navigation. The 2016 Accord includes air-conditioning with air-filtration, automatic climate control, 7" LCD screen, Bluetooth® capabilities, Push button start, power door locks, leather-wrapped steering wheel, illuminated power window switches, Homelink remote system, map lights, rear-seat center armrest, floor mats, 12-volt power outlet, driver's seat with 10-way power adjustment, leather-trimmed seats, heated front seats, fold-down rear seatback, multi-information display, blue backlit gauges, 360-watt AM/FM/CD audio system including 7 speakers including subwoofer, HD Radio / XM Radio Pandora, USB audio interface, exterior temperature indicator, a sunglasses holder, and a maintenance minder system. The 2016 Hyundai Sonata comes with a 10-year/ 100,000 Mile powertrain warranty. Other warranties include a 5-year/ 60,000 Mile New Vehicle Limited Warranty, 7-year / unlimited Miles Anti-perforation Warranty, and a 5-year/ unlimited miles 24-hour roadside assistance. 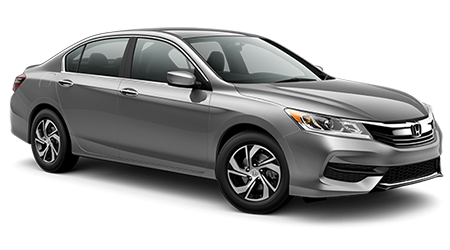 The 2016 Honda Accord has a 3-year/36,000 Mile new vehicle limited warranty, a 5-year/60,000 mile limited Powertrain Warranty, limited warranty for 3 years or 36,000 miles, and a 5-year / unlimited mile corrosion limited warranty. If you're looking to get the most out of your dollar, the 2016 Hyundai Sonata is the way to go! Let Jim Burke Hyundai take care of you today with our amazing team of financial experts, customer service staff, and maintenance crew!